There’s a wide variety of clubs at French American + International–over 40 at last count. And the people responsible for them are the students themselves. Students create the club, write the mission, develop goals, promote membership, lead meetings, and organize events. The result is a fun, highly-active club scene with opportunities like our student-run radio station serving up news and music; activism clubs that raise awareness and take action around pressing issues; special interest clubs where bonding occurs over watching films, making baked goods, hiking, and gardening; and scholarly-minded clubs such as math, politics, and tutoring. Clubs are also responsible for some of our strongest traditions, like Songs for Senegal, our annual fundraising event for our sister school, Ecole Natangue. Whatever students are passionate about, there’s likely a club to serve it. And if not? Then it might be time to start that next club. SAAC members kick of the year with an off-campus retreat where they learn leadership skills. The Student-Athlete Advisory Committee (SAAC) is comprised of student-athletes representing each of the athletic teams. The SAAC’s roles are to: promote communication between athletics administration and student-athletes, generate a student-athlete voice within the campus athletics department, build a sense of community within the athletics program involving all athletics teams, organize community service efforts, and promote a positive student-athlete image on campus. Provide student-athletes the opportunity to contribute to the betterment of the school and Jaguar community as a whole in the hope that they will use their athletic abilities to enhance the lives of others as well as themselves. SAAC has two representatives from each of the 13 varsity teams. The Council meets the first and third Monday of each month, at noon, in the Performance Lab. At the meetings, representatives discuss matters affecting student-athlete life and welfare, learn more about NCS and Conference rules, and plan events. The Director of Athletics and Dean of Students serve as Advisor to the Council. All student-athletes are welcome to attend Council meetings and should contact a representative with interest or inquiries. At a recent MUN Conference, over 20 students received awards for their efforts. Many of our students choose to participate in Model United Nations (MUN). These students work hard to research the countries they represent and to write position papers in preparation of the conferences they attend. Developing student leadership in the areas of diversity and inclusion has taken the form of diversity councils in the Middle School and High School. Both councils lead assemblies and various initiatives throughout the year—lunch-and-learn movie screenings, the curation of diversity-themed displays in the hallways, discussion club activities and, in the High School, student-led Advisory sessions. 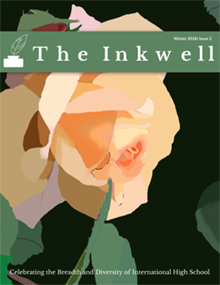 The Inkwell is International's student-run literary and arts magazine. The magazine accepts a variety of works such as creative writing, poems, lyrics, and musical scores, artwork, photography, comics, biographies, book reviews, commentaries, essays, and anything else that expresses creativity. Submissions in languages other than English are also welcome. TEDxYouth@FAIHS seeks to inspire our school's community and the larger Bay Area community by promoting conversation about relevant concepts, paradoxes, and issues. We provide an opportunity for students to voice their ideas to a larger audience in an environment which encourages discussion and debate.